I spent a most pleasant evening over at the Carlton Club at one of the sweet little Hedge Folk sessions last Friday. I know it's not jazz, but this blog does say ".. or anything else that feels right at the time". It's fair to say I do like lots of other music despite the fact that this has ended up being mainly a jazzy affair. The first thing you notice is how nicely those lovely Hedge people lay the place out with flowers on the table and such. The general ambiance was very warm, easy and welcoming. 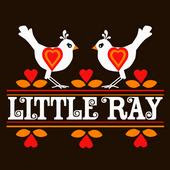 First up were the really quite charming Little Ray. They opened with a touching version of the song 'Little Ray', the vulnerable voice of singer and guitar player Louise Shiels immediately capturing the rooms attention. The songs were generally quiet and minimal pieces graced by some sweet harmony vocals from Danielle Galway and Nigel Bunner. The thoughtful and simple lines from guitarist Matt Kelly, and the straight n'steady drumming from Dan Best complimented the wistful textures perfectly. The decidedly more quirky Soy Un Caballo followed with a sort of easy listening electro-pop amalgam. 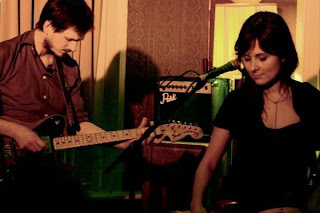 There were some quite sophisticated arrangments from the pair of Aurélie Muller on vocals, vibes and bass, and Thomas Van Cottom on vocals, guitar and electronics. It was another really charming set consisting of unusual and catchy-in-a-good-way tunes. The songs are well put together and backed by some great playing from these two. A high point was 'Robin', its metronomic vibes introduction seducing us into its irresistably melodic and groovy heart. I couldn't stick around for the final set from John Fairhurst so that'll have to wait for another time. A fab evening even so. I made it down to the Sand Bar last night to catch the 'Jim Faulkner Quartet featuring Steve Berry' at one of the Sand Bar Jazz evenings. 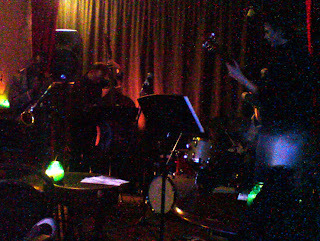 It was good catch Jim properly for the first time in some ways, as I've only actually seen him play twice before, both at the Manchester Jazz Festival with Mrs Columbo. Last year's said gig was a little tentative, but last night's was a much stronger performance. There were more well worn standards than I was expecting, but they were delivered with enough force and freshness to give the tunes life. Steve Berry was ace on the double bass as expected. Ed Kainyek on sax was more upbeat than he can sometimes be, and Rob Turner on drums responded to the energy levels well. Jim goes for quite a classic forties/fifties'ish clean guitar sound (tonight at least), and is great at interspersing his lines with chord fragment comps that sound quite Joe Pass inspired. There's not much in the way of milking the single notes with string bending or overdrive, but that's all fine with me. Probably the best performance came on the self-penned 'Stuck in a Lift', with Jim really kicking in and pushing the solo's momentum sweetly. He didn't exactly sell the tune to us, describing it as 'MOR' if I recall, but it had far more grace and power than that.